Australian rock legends ICEHOUSE and Killing Heidi will headline the off-track entertainment at the Watpac Townsville 400, North Queensland’s largest annual sporting event. Lead singers Iva Davies and Ella Hooper were in Townsville today for the announcement ahead of the July 5-7 event at Reid Park. 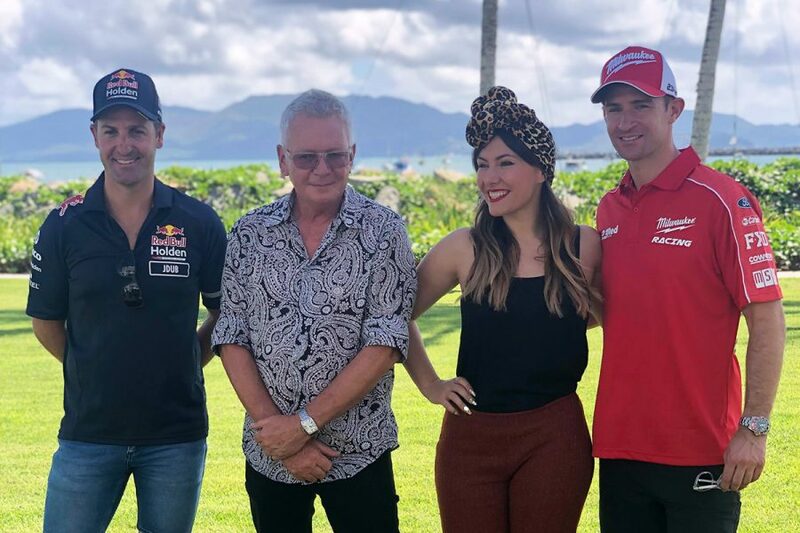 They were joined by Supercars drivers Jamie Whincup and Will Davison, Watpac Regional Manager Bryan Glancy, GIVIT CEO and Founder Juliette Wright and Townsville Mayor Jenny Hill. 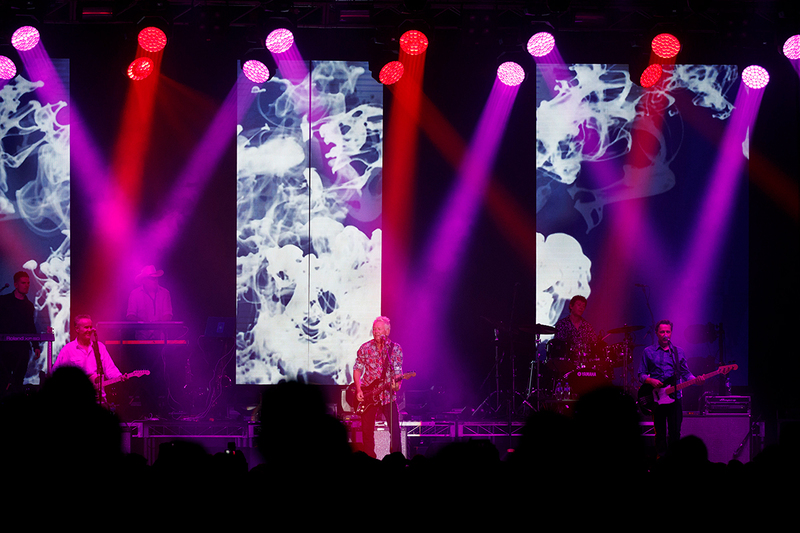 ICEHOUSE, pictured, was inducted into the ARIA Hall of Fame in 2006 as one of the most successful Australian bands of the 1980s and '90s, following international success with hits such as Great Southern Land, Hey Little Girl and Electric Blue. Killing Heidi shot to fame in 1999 with breakout single Weir and debut album Reflector, which claimed four ARIA awards in 2000 including Album of the Year, Best Rock Album, Breakthrough Artist - Album and Best Group. Both bands will perform on the Saturday night of the event, July 6, under the Watpac Big Top with the concert presented by Jim Beam. The concert announcement comes after leading national construction company Watpac announced it is continuing to support the event, having taken on naming-rights sponsorship in 2017. GIVIT, which supports the Townsville flood appeal, was named as the official charity of the event. Having first visited Townsville in 2009, Supercars is supporting the flood appeal, with more announcements to come. "Townsville has been a part of the Supercars family for more than a decade and we know how difficult the past few months have been for the region," Virgin Australia Supercars Championship CEO Sean Seamer said. "The drivers have a great connection with local residents that have spent over a decade supporting this event and everyone is looking forward to getting to Townsville in 100 days’ time." Tourism Industry Development Minister Kate Jones said the countdown was well and truly on. "The Watpac Townsville 400 will attract thousands of visitors to Townsville, create local jobs in the tourism industry and provide an economic boost to the whole region," Ms Jones said. "For those visiting Townsville, there are a diverse range of tourism experiences on offer, from exploring the city along The Strand and atop Castle Hill, to snorkelling off Magnetic Island and witnessing Australia’s longest single drop waterfall, Wallaman Falls." Townsville Mayor Jenny Hill said the quality of entertainment and acts coming to Townsville as part of the Supercars event will get everyone racing to be involved. "Townsville is the events capital in Northern Australia and it’s great to have the support of Supercars who are bringing this event and these incredible performers to our city," Cr Hill said. "It’s always great to have such successful Australian bands visiting Townsville and bringing visitors to the region – ICEHOUSE and Killing Heidi are sure to attract everyone to the Supercars, not just those who want to watch the races."